INTERLINK EXPRESS standard delivery Orders using Standard delivery will be delivered in 1-3 working days - All items will be sent via a recorded signed for delivery method by Interlink Express. INTERLINK EXPRESS next day delivery (U.K Mainland Orders) All U.K Mainland orders will be sent out using a recorded delivery method by Interlink Express Courier. All orders received before 02.00pm Monday-Friday will be dispatched the same day for delivery the following day. 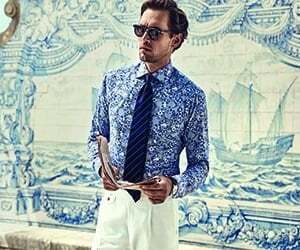 Orders received after the 2:00pm cut off or at weekends or public holidays, will be sent on the next working day. TEXT and/or EMAIL NOTIFICATION - Interlink Express will keep you up to date on the whereabouts of your order including a 1hour delivery slot so your not waiting around all day, so be sure to include your mobile number in your order!. 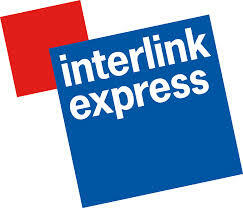 The rest of the added Interlink Express features are listed below. SATURDAY DELIVERY If this option is selected then Item will be dispatched out on the next Friday after your order or on the Friday of your order as long as the order is placed before 3pm. This will be dispatched on a next Day Saturday service. Please note - we advise you to give us a Mobile number with your order so we can give you a text update including a time window for your delivery. SUNDAY DELIVERY If you know that your not going to be around all week or likewise you fancy something brand spanking new to eat your Sunday Roast in then go for the Sunday Delivery Option. At a bit extra cost you can at least guarentee that you will be around to receive your order and this service still comes with a 1 hour delivery window provided by INterlink Express. CLICK AND COLLECT - If you would like to collect your order you can do so from our Banstead Store Only (please see contact us page for address). Once Click and Collect has been selected and your order completed you will receive a follow up email instructing you on the proceedure and what is needed upon coming into store to collect your order. If there is a problem with your order preventing us from dispatching, we will normally contact you within 24 hours of the order being received by us or on the next working day. If you have any question regarding deliveries or delivery time-frames please contact us at info@robert-fuller.co.uk and we will get back to you immediately. Deliveries are normally sent out Via UKMail Next Day Bag It Delivery and are delivered on a next day basis unless advised otherwise or if being sent outside of the UK. All deliveries are sent via UKMail or other secure courier service. Please ensure that someone is available at your delivery address to accept the goods, as a signature is required. Robert-Fuller.co.uk does not charge any customs duties on International shipments or any destination outside of the EU. If any additional customs charges are incurred during your shipment, they are not calculated or monitored by us nor are they the responsibility of Robert-Fuller.co.uk. While we do not expect that there will be any additional charges attached to your order, we recommend that you check with your local customs officials or post office for more information regarding importation taxes/duties that may be applicable to your on-line order with Robert-Fuller.co.uk. To Claim for VAT refunds for Non E.U orders this will need to be requested at the time of the order and a VAT Refund Form will be dispatched out along with your order and this will need to be stamped by the relevant Customs and Excise dept and then sent back to us where we will be set about refunding accordingly. Delivery is FREE If your order is over £100 and delivered within the United Kingdom. 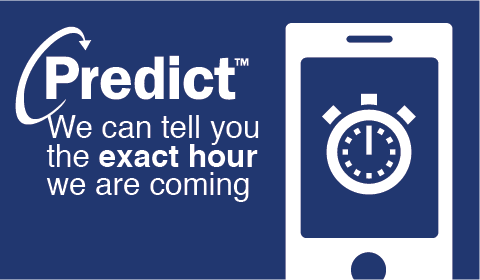 LATEST TECHNOLOGY - Track and Trace your parcels in real time - watch the progress of your parcel on a map and even get an eventual 15 min delivery time slot. Easy Redelivery booking - If you miss your parcel then its easy to sort out getting it redelivered. All International Orders will be dispatched using DHL Worldwide Express or DHL economy express service. Offering one of the quickest and most secure Courier services DHL Worldwide Express will require a signature will be taken for your item on delivery at its destination. Delivery to just about anywhere in the world. This is a completely track able method of delivery and once your order is dispatched a tracking number will be forwarded on to you so you can track your purchase all the way from our door to yours. Orders placed after 3pm will be not be shipped until the next day. For any further information, please contact us @ info@robert-fuller.co.uk and tell us what you would like to order and where we would be delivering it to.